This Benedictine Cheese Ball is a riff on the traditional cucumber dill spread that is eaten all over Kentucky, especially at the Derby. Add this to your Derby Day Party Menu! If you have ever taken a trip through the south and had the opportunity to attend a party thrown by traditional southern ladies, then you have had the pleasure of eating this spread. Most likely between two tiny pieces of bread in a perfectly shaped tea sandwich. The genius of this cucumber cream cheese spread is that it is simple to make, has a fresh taste, and goes great with everything! 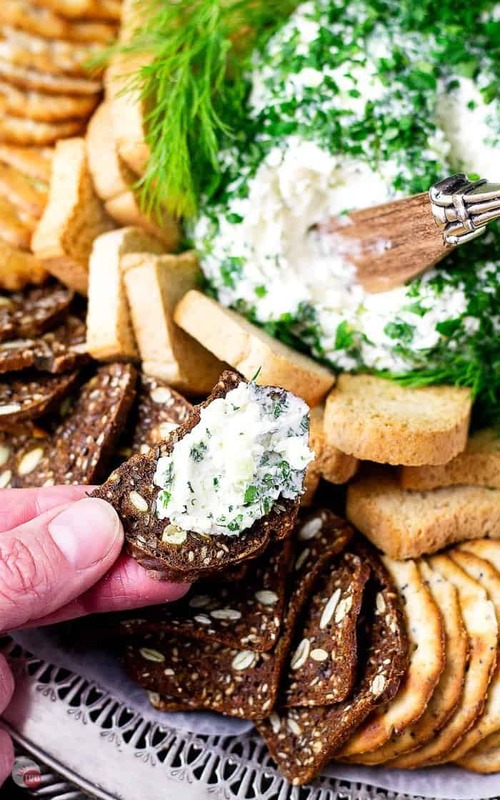 Benedictine spread always makes an appearance at baby showers, bridal showers, rehearsal dinners, Mother’s Day and Easter brunches, and always at a Kentucky Derby party. Just take me to the Benedictine CheeseBall Recipe Already! 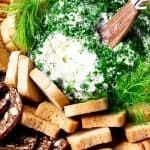 If you’d rather skip my (very helpful, I think) tips and tricks, essential cooking info, and similar recipe ideas – and get straight to this delicious easy Benedictine Cucumber Dill Cheese Ball recipe – simply scroll to the bottom of the page where you can find the printable recipe card. The original recipe for Benedictine is simple. Some cream cheese, cucumber (although one I found just has cucumber juice), onion, mayo, salt, and a touch of green food coloring. Not sure why people feel the need to tint foods unnatural colors, but whatever. I embrace all these ingredients, but I think it can be so much better with some additional ingredients added to it. A little pepper to go with the salt, some fresh chopped herbs like parsley and dill, and a shot or two of hot sauce. The original Benedictine Spread is loose and used as a tea sandwich spread but I really want to make it into a cheese ball. So to bulk it up I add some shredded mozzarella cheese and increase the cream cheese amount a little. The cucumber is such a watery vegetable that chopping it up and adding it to a mixture will bring more moisture. Even as the cheese ball chills, the cucumber will release moisture so you need to add more cheese to soak it up. 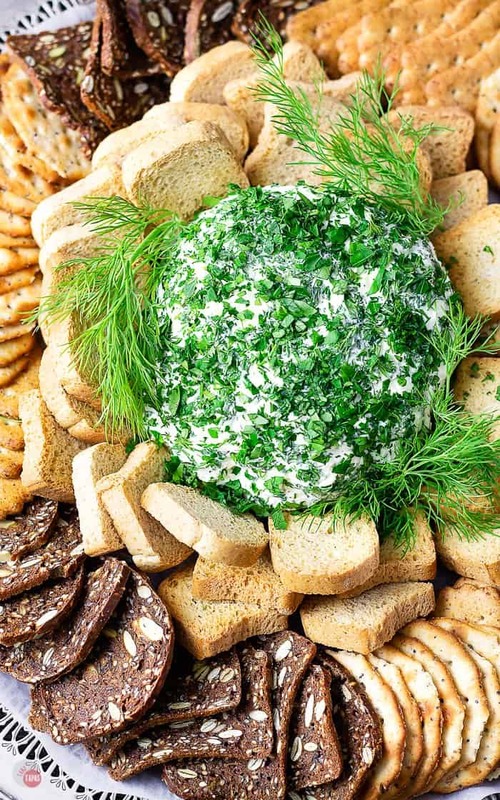 Adding the fresh herbs will also help hold the Benedictine Cheese Ball together and add some beautiful green color. Feel free to leave out the food coloring if you want. I added just a drop to follow in the footsteps of our elders, but the fresh herbs add all the green color you need. Q: Can I make this ahead of time? A: You can make it up to 24 hours ahead of time but remember that the cucumber has a lot of water in it so it will get “wetter” as time goes on. Q: Can I just use this as a dip instead of a cheese ball? A: You can totally serve this as a dip. To make it a little “looser” for dipping, leave out some of the shredded mozzarella cheese. Q: Can I add feta to this for more tang? A: Fee free to add feta instead of some of the mozzarella! Q: Can I freeze the cheese ball? A: I would no recommend it because of the high moisture content. Make your own Benedictine sandwiches with a spread or smash some of this Benedictine Cheese Ball between two mini toasts! Your Derby Party just got tastier! Other great cucumber dill recipes to try! Looking for a dish to take to a party you’ve been invited to? How about a quick appetizer you can make ahead of time for a get-together that you are hosting and are already stressed to the max? Check out all my cheese ball recipes, both sweet and savory, to fit your special occasion! If you love this Benedictine Cheese Ball Recipe as much as I do, please write a five-star review in the comment section below (or on Pinterest with the “tried it” button – you can now add pictures into reviews, too! ), and be sure to help me share on facebook! This Benedictine Cheese Ball is a riff on the traditional cucumber dill spread that is eaten all over Kentucky, especially at the Derby! Fresh chopped dill and parsley to coat the outside of the cheese ball. 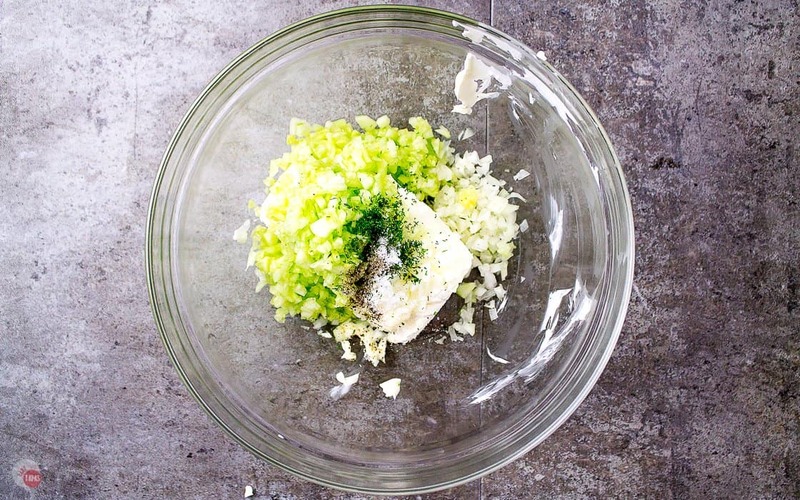 In a mixing bowl, add the cream cheese, mozzarella, onion, cucumber, dill, salt, and pepper. Roll into a ball and wrap in plastic wrap. 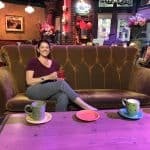 Chill for 30 mins to 1 hour. Remove from fridge when ready to serve. Coat with more dill and parsley. Serve cold with lots of crackers and toasts! 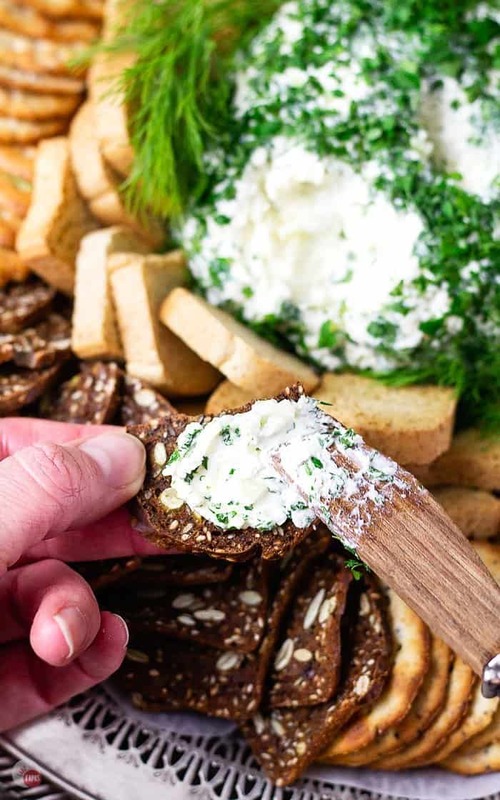 Love the fresh dill herb on this dip Jen! Fresh, delicious and gorgeous photos. Sharing to all of our favorite boards.